There is only one ground for divorce – that the marriage has broken down irretrievably. To satisfy the Court that there has been an irretrievable breakdown the person who starts the divorce “the Petitioner” must prove one of the five following points against their spouse “the Respondent”. The parties also need to have been married for at least one year. 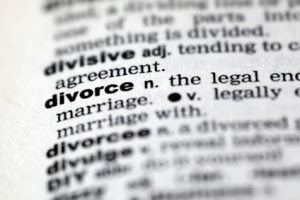 Both parties have lived apart for a continuous period of at least five years before the start of the divorce. Most divorces use grounds based on adultery or unreasonable behaviour. If adultery is being used as a ground for divorce then this must have happened in the six months prior to any separation or at any time after separation. There is no need to name the person with whom the adultery took place or to involve them in the Court proceedings. If unreasonable behaviour is used as a ground for divorce then the test for the “behaviour” is subjective one. It need not be extreme behaviour but often comprises of a combination of factors. For example working too hard, or not enough, or showing too much or too little affection combined with other factors can be used.